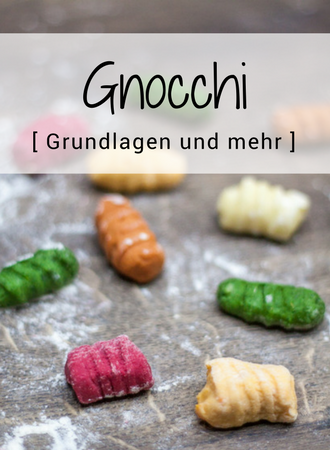 The first Sunday in a new month, that There is news from the Blogreihe “Italian Kitchen – Learn all about…”, In March, we dedicate ourselves to an area that is personally challenging for me, that everything related to the Italian bread culture. Although maternal all talented bakers are, I have not really a lot of experience here. I love bread so about everything, preferably when it is just warm from the oven comes with some good olive oil. Baking bread in my eyes almost an art and in the hope that I can to learn a lot in March and then share it with you here, I have chosen this topic for the blog series. Here I want to consider bread in the broadest sense and have decided on a few classics of Italian cuisine and regional specialties. So that really works, I read me before exactly one or ask for in my circle. This way I can still give important tips you anyway and you hopefully added value of the whole. 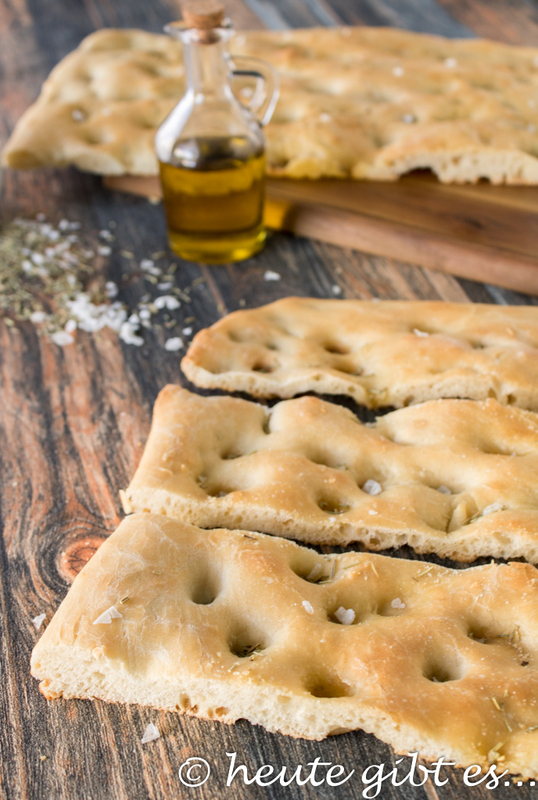 As the start of our march handy series I have chosen the famous pita bread from the Liguria region. 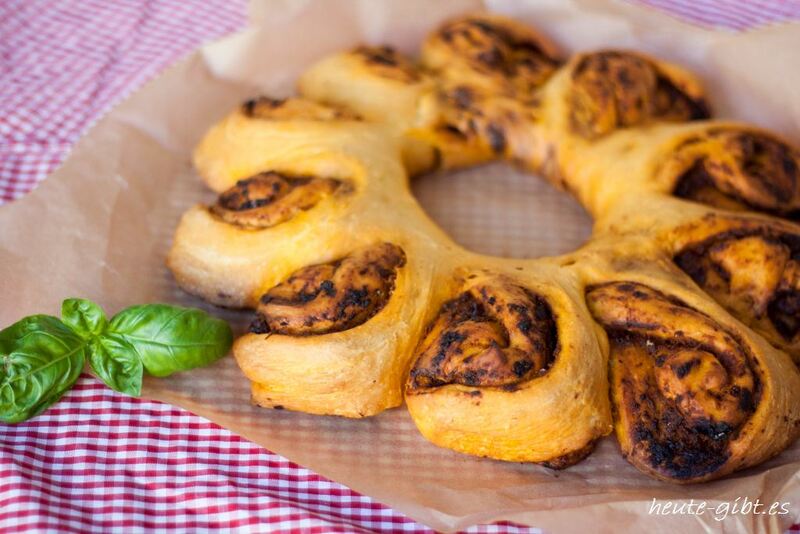 As a snack or as a side dish of this bread is very popular with many. 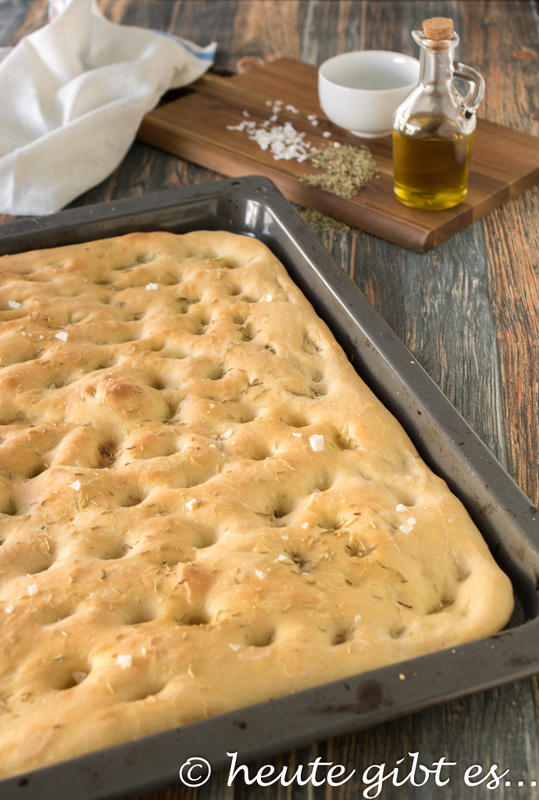 Some like the focaccia very soft and high, the other more crisp and flat. Also during rubber are the ghosts, because there are felt thousands of possibilities of what may adorn the Italian flat bread. 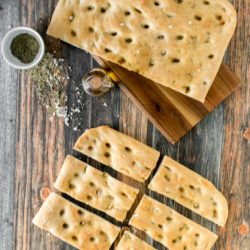 Since I am a big rosemary lover, I have decided for the Focaccia al Rosmarino. This is one of my favorite varieties, although it is very simple. But are not often the simplest things the best? As “covering” you just need a little olive oil, coarse salt and rosemary here. Unfortunately I have no green thumb – So as not – and have never managed to make a rosemary plant survives longer than 2 weeks for me. Luckily, you can but also in this recipe use the dried herb and I have always in stock at home. Just like the other ingredients of this bread, so I could prepare the always spontaneous. But since this is a yeast dough, you have to leave his time to work out the dough. The preparation is suitable but really not rocket science and even for beginners. 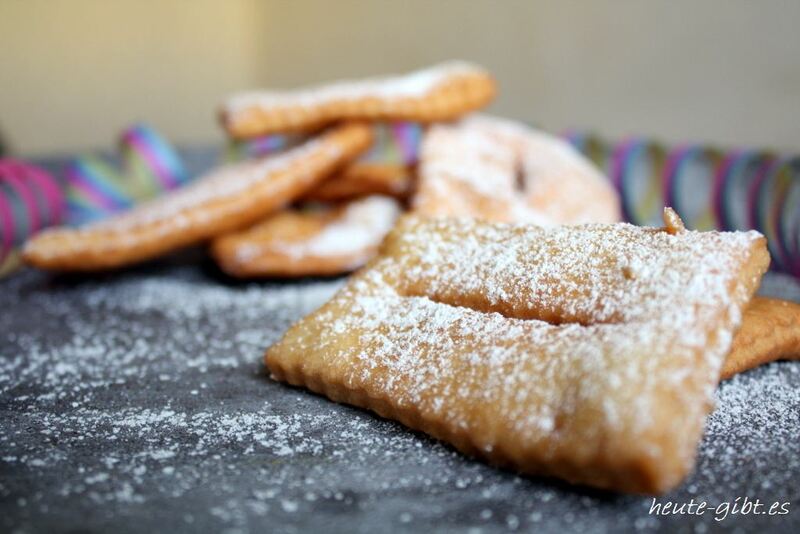 The yeast with the sugar in milk dissolve. Add the yeast mixture to the flour, add the water gradually and knead for a few minutes. Now 30ml olive oil and finally the salt knead, mix until a smooth dough. Pour the mixture into a bowl and let rise in a warm place covered 2 hours until the volume has doubled. 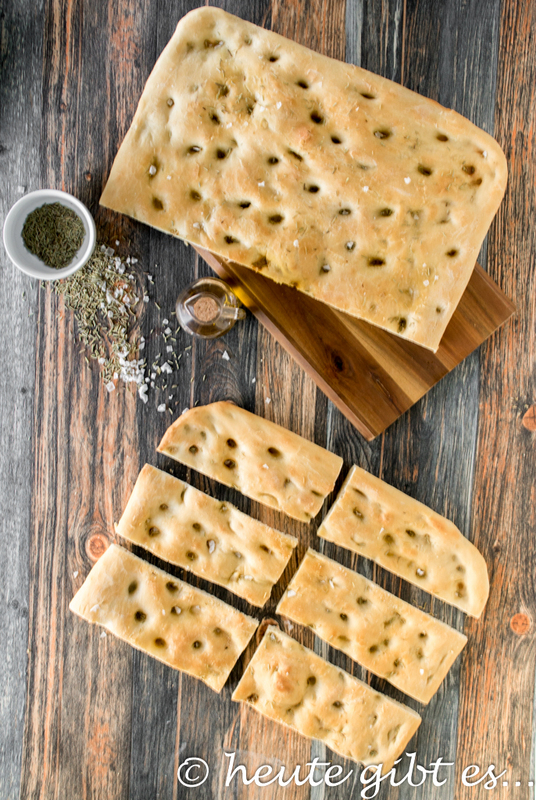 After the leavening baking tray Brush with olive oil, place the dough on it and flatten with your hands. If the dough does not spread easily and withdraw, let it rest for 10 minutes shortly on the sheet, so that this and then spread a little relaxed again by pressing lightly. let rise in off oven with attached lights on for another hour, the sheet with the focaccia. Preheat then the oven to 180 ° C (top and bottom heat). Meanwhile, push it with your fingers the typical wells in the bread using the fingers, drizzle with a little olive oil and spread salt and rosemary it. Bake the pita bread for about 30 minutes in the oven until golden brown, then cut and enjoy. 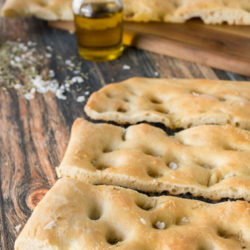 Do you want your Focaccia have thin and crispy, you should skip the last walk. Do you prefer the soft variant avoid pushing the wells. Of course, you can vary the shape of the bread. Usual, rectangular and round version are. If you do not fit the walking times, you can also prepare and store in a covered bowl with plastic wrap up to 12 hours in the refrigerator and let there go slowly the dough. remove before cooking, wait until the dough the room temperature reaches and then proceed to the recipe. 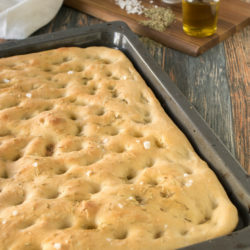 The focaccia sticks to max. For 2 days in a plastic box. but best it tastes fresh from the oven. How does it look with your bread arts? You are professionals or rather beginners? 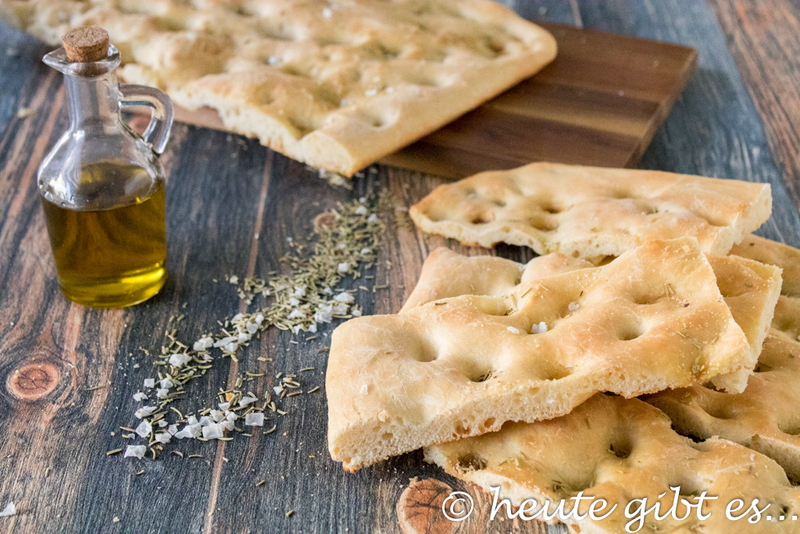 2 Kommentare zu "Focaccia al rosmarino – delicious, Italian flatbread"
Again a great recipe for wanderlust! 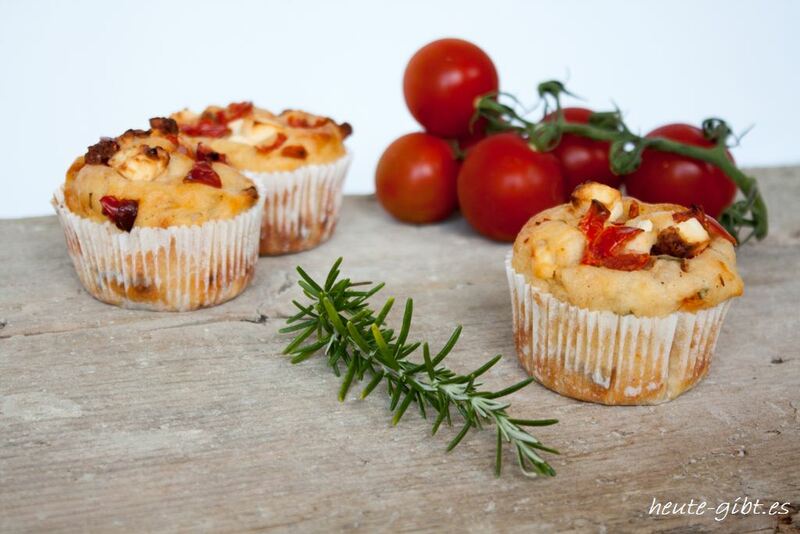 🙂 In the version with rosemary it sounds especially delicious – super recipe and beautiful pictures.